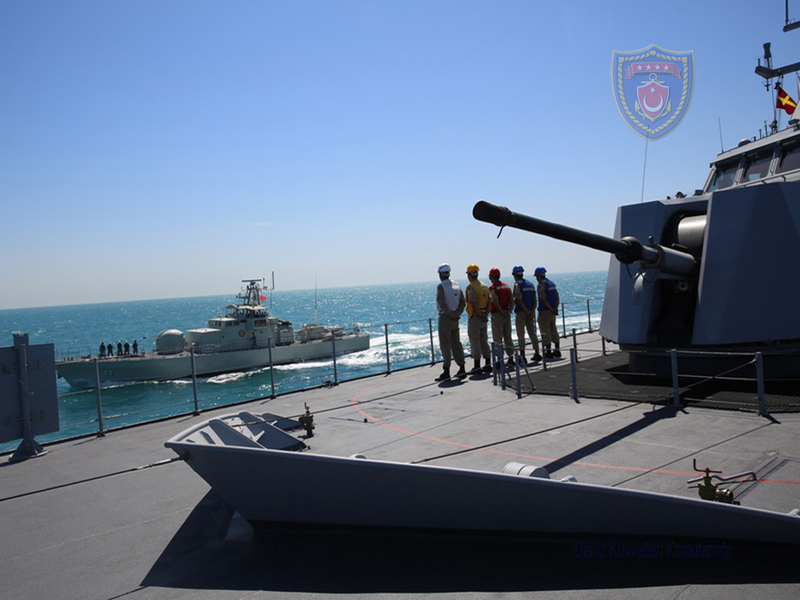 TCG Büyükada conducts a passing exercise with Bahraini warship Hawar. Photo: Turkish Naval Forces. TCG Büyükada is continuing with her Indian Ocean deployment. She was in Doha, Qatar, between 3 and 6 March for a scheduled port visit. After leaving Qatar she made PASSEX with the Bahraini war ship RNBS Hawar. TCG Büyükada is now making a port visit in Jubail, Saudi Arabia. She is scheduled to return to Turkey in 30 days.